Amber and I have been working hard to try a lot of new recipes with the ingredients she can handle without reactions. She follows a specialized low FODMAP diet for her severe fructose malabsorption (and other issues), while I follow a strict gluten free diet for my severe gluten intolerance. We are a pair. Amber is also gluten free as a part of her low FODMAP diet since wheat is a FODMAP food (it contains chains of fructose). A lot of our new foods have been carbs and bakery type items. Amber desperately needs to gain weight, so we emphasize foods that can help with that but are made with good ingredients. For example, our new ice cream recipe is milk, vanilla and a small amount of dextrose. Seriously. There is nothing bad about this; it's actually good for Amber since she no longer likes to drink milk and she needs some sugar to keep her going. An entirely sugar free diet went very poorly for Amber. 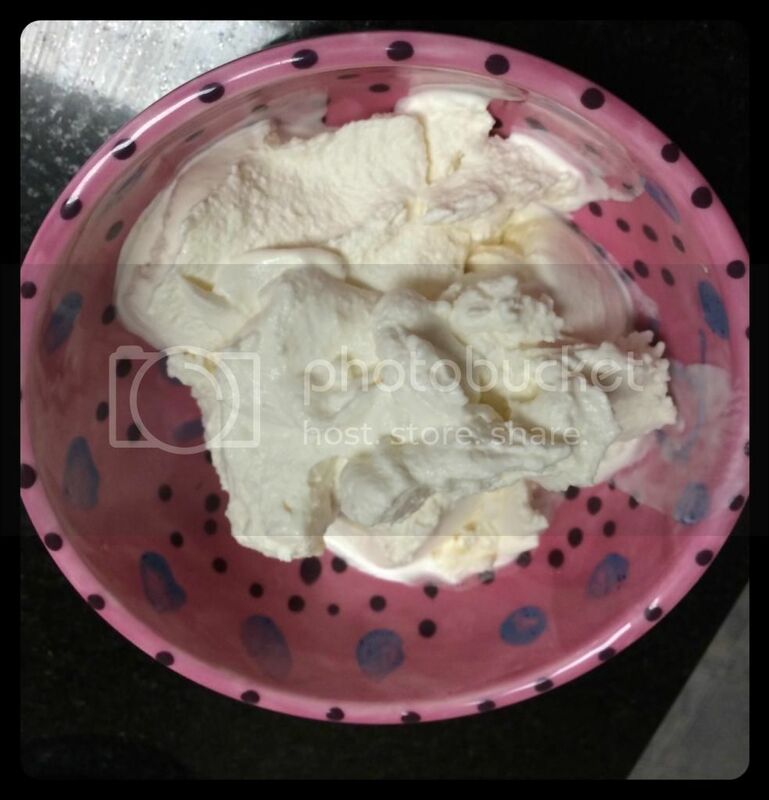 Low FODMAP Vanilla Ice Cream - This is honestly some of the best ice cream I have had in years. Amber was in tears when we first made it. She begs for it almost nightly now. My husband even likes this recipe and he is an ice cream snob. We developed this recipe entirely on our own after being frustrated with the available options in the stores and ice cream shops. Who needs them now. 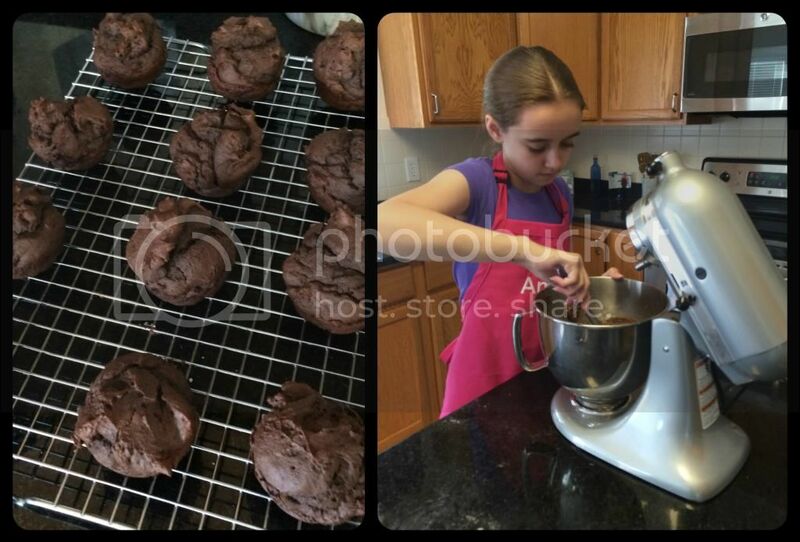 Another huge hit for Amber was a recipe for Chocolate Chip Cookie Chip-Style Cookies at Gluten Free on a Shoestring. While the original recipe was not entirely suitable for Amber, it was a fantastic start. We have found that Amber tolerates the Enjoy Life dark chocolate chips in moderation. She can't handle milk chocolate chips for some reason, but the dark chocolate has fewer ingredients anyway. In the recipe we used only 1.5 ounces of our Enjoy Life dark chocolate chips, chopped into small pieces instead of the called for 3 ounces of semi-sweet mini chips. We did have to modify the recipe to use a mix of 1/8 cup sugar (or less) and 3/4 cup dextrose in place of the 7/8 cup of sugar called for in the recipe. Lastly, the recipe lists 1/2 tablespoon of molasses, but Amber can't tolerate even the smallest amount of molasses. In most recipes I generally substitute an equal amount of sugar water for molasses or honey. I know it's a different flavor, but it helps to keep the dry / liquid ratio in check, especially since dextrose absorbs more liquid than sugar. As far as we can tell, Amber tolerates up to 10 of these cookies per day (they are quite small) and 4-5 per sitting without any effects whatsoever, except a happy tummy. 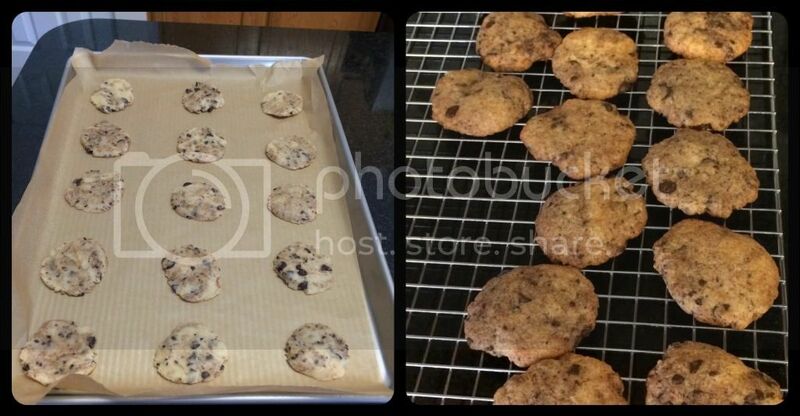 These are the easiest little cookies to make and so yummy! Now that Amber is definitely good with milk products, we've been able to go back and alter recipes that didn't work with dairy substitutes. A new chocolate muffin has passed the trial and can be added into rotation with the cinnamon muffin for easy make-ahead breakfasts. Again, I did sub dextrose for sugar and we greatly decreased the number of chocolate chips. Still, they are scrumptious and reaction-free, so far. If you hadn't noticed, we love Gluten Free on a Shoestring. The recipes are obviously gluten free, so many of the offending ingredients are already removed. It is also our type of food. Food we would have eaten before all the problems and made with ingredients I can find. In other words, not foo-foo food. But food we actually want to eat at home. Amber is in love with the buttermilk biscuit recipe in Gluten Free on a Shoestring Bakes Bread. I mean the child loves it. Begs for a biscuit at each meal. It's freaky. I am quite happy with the biscuits too. I was giddy all evening the first time I made them. I actually made edible buttermilk biscuits from scratch. Who cares about the gluten free part. I'd never made edible biscuits unless they came from a can prior to this recipe. One bonus about the recipe is that the dough can be frozen. 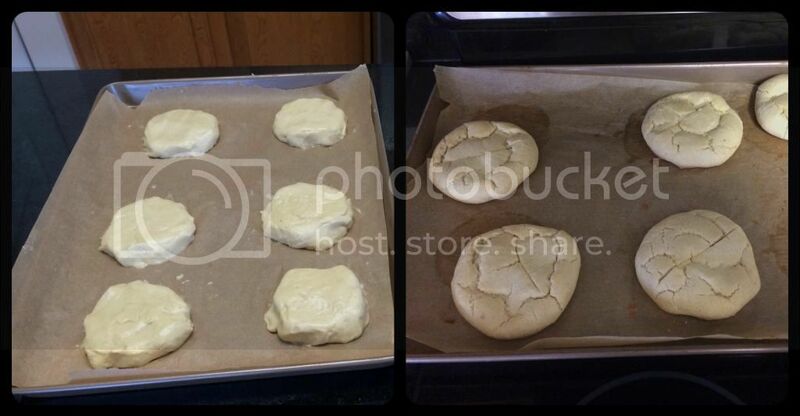 I simply cut the dough into biscuit shapes and freeze them. That means 15 mins from freezer to table for yummy, golden, flaky buttermilk biscuits. Bonus number two? It makes heavenly doughnuts too. Same biscuits, but cut out the center and deep fry for a couple of minutes. Literally, two, no more than three minutes in my handy dandy fryer. So far we haven't had a complaint about the doughnuts and guests have even tried them! Bonus number three: no substitutions are needed. Hallelujah. I make 4 batches at a time so that we always have enough on hand. 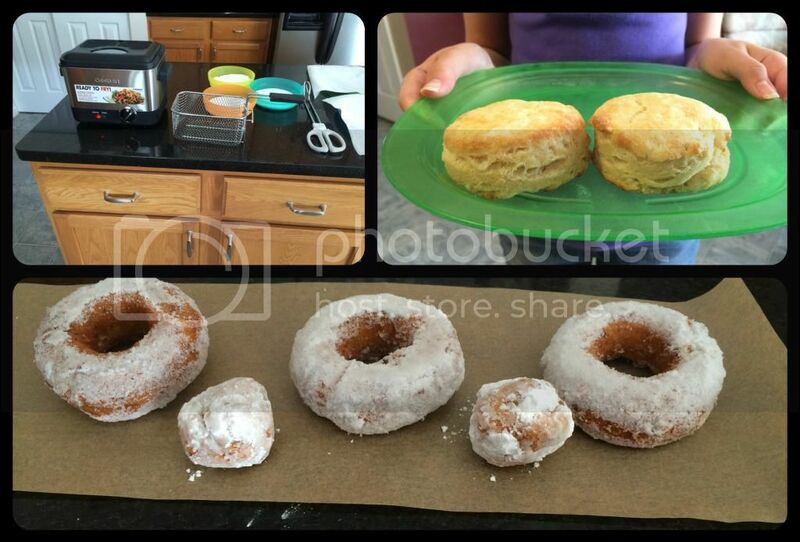 Buttermilk biscuits and doughnuts. The doughnuts fry up fast and easy! But occasionally there are the recipes that flop. I tried to make what looked like simple sandwich rolls. Seriously, they are called Easy Gluten Free Sandwich Rolls. I usually measure as many ingredients as possible by weight, not volume. It's just better that way. Because of substitutions that I need to make, sometimes my measurements aren't the same as listed in the recipe. But that's my issue. With this recipe I followed everything to the letter and measured it all by weight - even the eggs. I triple checked it all. Amber even saw. Yet the dough was like a liquid. It was runnier than cake batter, and in no way formable into roll shapes. So to salvage it I just started adding flour until it was a manageable consistency. It ended up making edible rolls. Amber liked them. She didn't love them. I want to try again and use volume measurements, except for flour. Never for flour. We also tried flourless brownies one evening on impulse. They used chocolate, peanut butter, cocoa, and other generic baking ingredients. Not even a hint of the almond flour that hurts Amber so badly. Yet the end result was was only, meh. I do have to say that the recipe called for equal amounts of cane sugar and brown sugar, however Amber tolerates no brown sugar and very limited cane sugar. I can only assume our substitution of dextrose for both sugars was the cause of the meh-ness. That just means this is not a recipe for us. Too bad though. It had potential. We did hit a jackpot with Gluten Free Arancini. Amber and I made them together one evening and we made quite the mess. 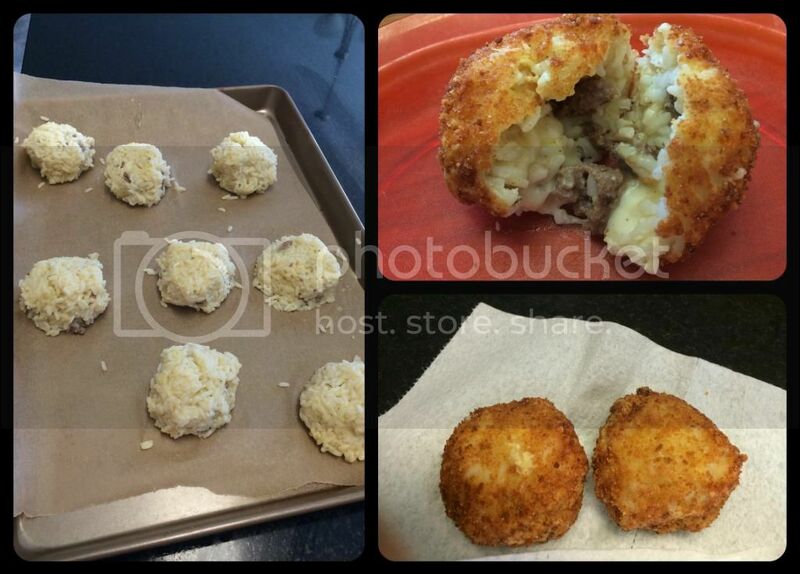 Even we found our attempts to make these rice balls comical. In the end they came out perfect. Who would have thought? We did use plain hamburger instead of mushrooms, but otherwise we didn't even need the make changes. We also found that one Arancini was enough for each of us. The recipe made eight. There were some serious leftovers. We've already completed a few new recipe trials in July and have plans for a handful more, including another recipe of our own device - it just needs a little perfecting. Hopefully, we have as many successful attempts as these past two months.